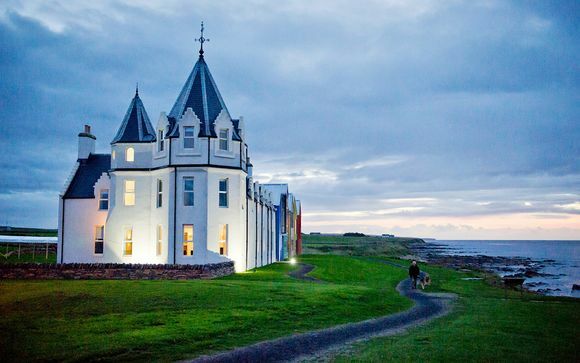 John O'Groats goes hand-in-hand with adventure, tucked away at the very North of the Great British coastline, there's plenty of ocean-front activities to try and unusual wildlife to spot. 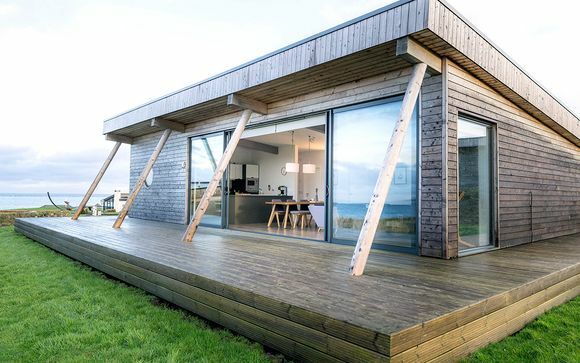 Tucked away in an area of outstanding beauty and wild Scottish landscapes this coastal hideaway is just 11 miles from Dunnet Head, the most northerly point of mainland Britain. As the home of adventure and the starting point for many embarking on the famous 'End to End' journey to Land's End in England, this breath-taking corner of Scotland has some of the most stunning hidden beaches and weird and wonderful wildlife to discover. Natural Retreats have made a commitment to support jobs and manufacturing in Britain, therefore all furniture and fittings are sourced as locally as possible ensuing sustainability as well as enviable levels of comfort and luxury. 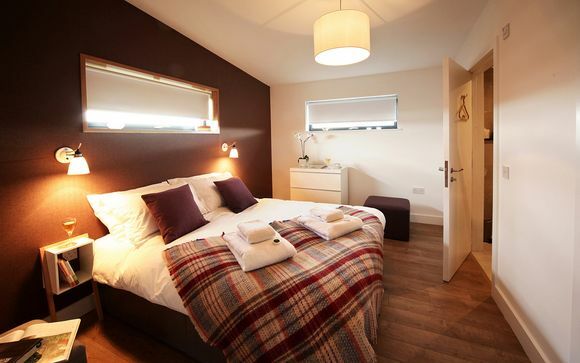 Building on award winning design, each Residence boasts a state of the art fully-fitted kitchen, wood burning fireplace and specially designed boot room for hanging up your sandy shoes after a walk along the beach! 6 and 7 night stays are available, please enquire for more details. Welcome to The Storehouse. The best local produce and provisions – only a stone’s throw away from your accommodation! Natural Retreats pride themselves on aiding sustainability in local economies, which is why they have created an on-site co-operative shop and cafe where you can find a range of delicious food and drink from the local area. BY ROAD:Travel from Inverness on the A9 to Latheron in Caithness, then follow the A99 to Wick, travel through Wick and at Reiss turn right to John O’Groats, still on the A99, straight on to the ‘End of the road’. BY BUS: Daily bus services run from Inverness bus station to Wick and Thurso. Then use local services to John O’Groats. A ferry bus also runs from Inverness to John O’Groats direct. BY RAIL: There is a direct service from Inverness to Wick and Thurso 3 times a day, Monday to Saturday all year, and a limited Sunday service from June to September. Take the local bus service to John O’Groats. BY AIR: The nearest airport is Wick (Wick Airport Terminal Tel: 01955 602215) or Inverness, with flights operated by Eastern Airways and FlyBe. BY FOOT: It’s only 874 miles or so from Land’s End.